After more than a week, the elections is finally over! In what is touted as the historical elections since independence, majority of the Singaporeans found themselves thrust with the responsibility of making a decision to vote for the first time. Besides wanting to make my vote count, I was determined to ride on this tide of change towards democracy in our nation. For the first time, I went on a walkabout with the Singapore Democratic Party (SDP) candidate, Ms Teo Soh Lung whom I know personally. It was her first election and so I was there to lend my support at Yuhua SMC. Having attended almost all the rallies on each evening, I was also assigned by TheOnlineCitizen to cover a PAP rally. And so I contributed a coverage article during this elections; a differing perspective from what our media propagates for Singaporeans to read. 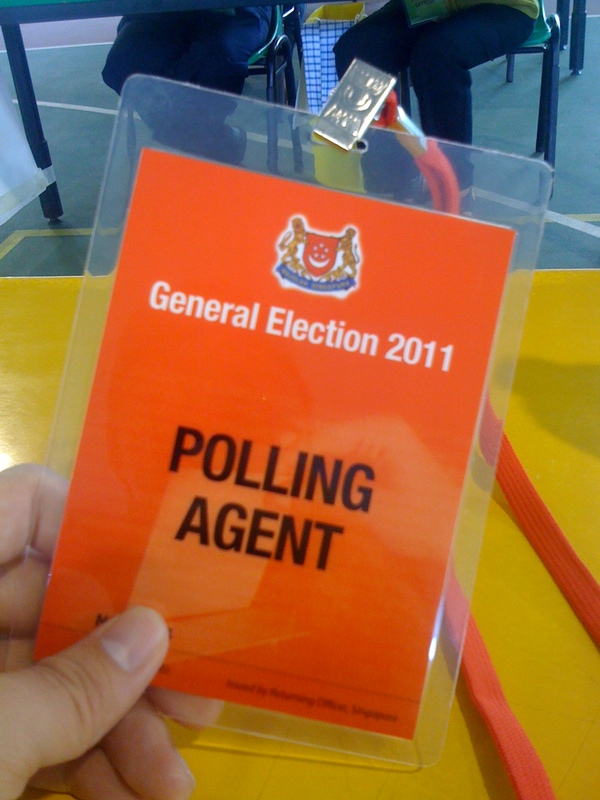 Finally, I got to volunteer as a polling agent for one of the opposition parties. Being my first time, it was interesting to observe the voting process first-hand and to understand the procedures. Being non-partisan and pro-Singapore, I’m thankful that I could play a part in the opportunities given as an active citizen. Well done, Andrew. Young Singaporeans like you give me reason for hope of a politically involved citizenry. By the way, Yuhua was my SMC.